Before anything else, a quick pagekeeping note: not to build the suspense or anything, but the house is calling Italian privilege on the Year-End/Churchman package; as some'll remember, last year's took a couple extra days to shake out, and that made all the difference... so just enjoy your champagne, down the grapes, watch the bowl games and we'll pick up where we left off on the other side. That said, some are well-aware of it... but for those of us who aren't, the tradition of the Latin church commends the public singing of its great hymn of thanksgiving -- the Te Deum -- on this last day of the year to acknowledge The Giver of the graces received over its course. For some of us, 2008's been an incredibly blessed and joyous ride... just as many of us will recall it as a difficult, trying, even painful year. Yet regardless of where we each fall along the scale, the fact that you're reading this means you're alive, you can see, the power's on and, ostensibly, so is the heater -- so for these and every other blessing we've got, let's all give thanks. 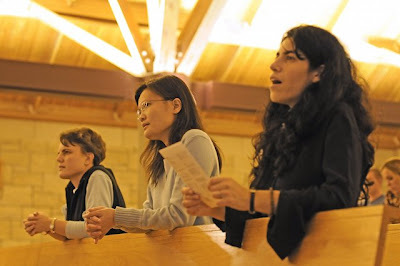 In an easily-joinable, modern and moving rendering (lyrics) of the ancient hymn, our Te Deum is led from Singapore. That's right -- major scare averted, for the 108th time, It's On. To you and yours, here's to every blessing, joy, good gift and fulfilled hope in the New Year -- and all thanks for being part of the unforgettable pilgrimage this past year has been. From Mummerville to the ends of the earth, buon anno, gang. ...only to find that it had been desecrated. See, probably since before the Christkindl was even born, the show's been constructed around its all-out climax of "Deck the Halls." And while, to its credit, the mega-chain that took over the place a couple years back has pumped heavy gelt into redoing the figures and restoring the old Magic Christmas Tree, said owners deigned to overhype the latter's return by tossing the old finale in favor of "O Christmas Tree." To put it nicely, the result was like expecting a Mass... and getting a chicken-slaughter instead. Forgive the mini-rant -- just one of those many things only the water ice-slurping, Tastykake-gobbling, Birds-loving Pharaohites among us would understand. And as the blessed Octave winds down, continued wishes for all the best of Christmas to one and all. Vatican sources have said a worsening of the Palestinian-Israeli conflict could alter the pope's travel plans. The Vatican spokesman, Jesuit Father Federico Lombardi, told Vatican Radio Dec. 27 that the latest escalation of violence was a provocation by both sides, and showed that both Hamas and Israel were caught up in a mentality of conflict. "Hamas is a prisoner of a logic of hatred, Israel of a logic of trusting in force as the best response to hatred. They need to keep looking for a different way out, even if it seems impossible," Father Lombardi said. The spokesman said Israel's attack on Gaza was notable for its intensity and the number of victims. "Certainly it will be a very hard blow for Hamas. At the same time, it's quite probable that there will be innocent victims, in fact many of them; hatred will increase and the hopes for peace will once again fade," he said. Addressing pilgrims at his noon blessing at the Vatican Dec. 28, the pope urged serious dialogue between Israelis and Palestinians as the only way out of the "perverse logic of conflict and violence." He called for a restoration of the truce in Gaza, and said the international community has a particular responsibility to leave nothing untried in helping both sides out of the current "blind alley." "I am deeply saddened for the dead, the wounded, the material damage, and the sufferings and tears of the people who are the victims of this tragic sequence of attacks and reprisals," the pope said. "The earthly homeland of Jesus cannot continue to be a witness to such bloodshed, which is repeated without end! I implore the end of this violence, which must be condemned in all its forms, and a restoration of the truce in the Gaza Strip," he said. The pope called for a fresh demonstration of "humanity and wisdom in everyone who has responsibility in the situation." On a related note, earlier today the Holy See released its annual list of pastoral workers killed in the line of duty during 2008. Numbering 17 clerics, two religious and one lay volunteer, nearly half hailing from Asia, the group was led by the Chaldean Archbishop of Mosul Paulos Faraj Rahho, who was kidnapped and murdered in March by a band of Islamic militants in the northern Iraqi city. Given the situations roiling so many parts of the globe in these days, it's worth reminding that Thursday's observance of the church's World Day of Peace may be reflected in the liturgy by using the Sacramentary's Mass for Peace and Justice with its readings in place of the propers for the solemnity of Mary, Mother of God. Clearly, freshly-mitred DC auxiliary Barry Knestout is more used to being the bishop's secretary than the bishop, himself. In remarks after Communion, Bishop Knestout, who is 46, thanked his family for their love and support, and he especially thanked his parents for their example. His father, Deacon Thomas Knestout, died in 1997, and the new bishop's mother, Caroline, is a retired nurse and attends daily Mass. Addressing his mother, the new bishop said, "You and Dad have given your children the most precious gift you could give: faith, and that continues to bear fruit." In his opening remarks, Archbishop Wuerl also thanked the new bishop's family, saying, "As this is a joy for you, it is a joy for us." The new bishop's family of faith in the Archdiocese of Washington greeted him warmly with applause during the Mass, after he had processed through the cathedral giving them a blessing, and after his remarks. 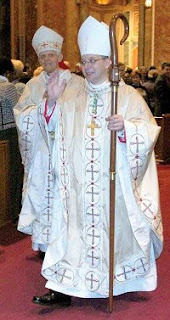 The 1,200 guests at the episcopal ordination included parishioners from St. Pius X, his home parish; from St. John the Evangelist in Silver Spring, where he served as pastor; from the Church of the Annunciation in Washington where he now is in residence; and from many other parishes, including St. Bartholomew in Bethesda and St. Peter in Waldorf, where he served as an associate pastor in his early years as a priest. Serving as co-consecrators at the Mass were Washington Auxiliary Bishops Francisco Gonzalez and Martin Holley. Eighteen bishops participated in the ordination, including Baltimore Archbishop Edwin O'Brien and Arlington Bishop Paul Loverde, the spiritual leaders of the two neighboring dioceses. 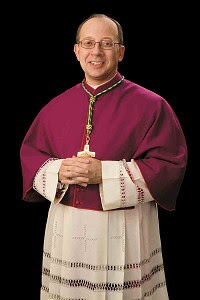 Several other participating bishops had special connections to Washington, including retired Auxiliary Bishop Leonard Olivier; Bishop William Lori of Bridgeport, Conn., who worked closely with the new bishop when both served the late Cardinal James Hickey; retired Bishop David Foley of Birmingham, Ala., a Chevy Chase native and formerly a longtime priest and administrator in Washington. Four cardinals also participated in the episcopal ordination, including Cardinal William Baum, Washington's archbishop from 1973-80 who confirmed the future bishop; and Cardinal Theodore McCarrick, the archbishop emeritus of Washington whom the new bishop had earlier served as a priest secretary. Boston Cardinal Sean O'Malley, a Capuchin Franciscan priest who earlier led the Spanish Catholic Center in Washington, also participated; as did Cardinal William Keeler, the archbishop emeritus of Washington. About 170 priests, 40 deacons and dozens of women and men religious also attended the Mass. In his homily, Archbishop Wuerl noted that the second reading from St. Paul's letter to the Ephesians "reminded us that Christ is our Hope," and he pointed out that Bishop Knestout had chosen "Christ Our Hope" as his episcopal motto. 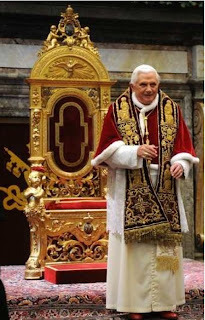 That was the theme of Pope Benedict XVI's April visit to the United States, and then-Msgr. Barry Knestout, who served as co-chair of the Papal Visit Committee in Washington. 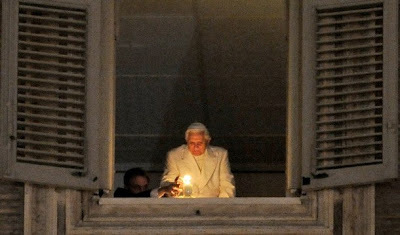 "As Pope Benedict XVI taught us in his encyclical, Spe Salvi, and as he repeated here in our archdiocese at the Mass at Nationals Park on April 17, 'the one who has hope lives differently. The one who has hope has new life,'" Archbishop Wuerl said in his homily. The archbishop later added, "May you show that joy of ministry that clearly radiated from the face of Pope Benedict throughout his time here in this nation and our archdiocese. While we still have much to do, we live in hope because we know and rejoice in the wisdom that Christ has already overcome the world." In his remarks after Communion, Bishop Knestout asked people to pray for him "that I might be an effective instrument of His faith, His joy and His hope... May God be in our hearts and give us the joy and hope of Christ this Christmas time and always." Eight members of the new bishop's family brought up the offertory gifts at the Mass, including his mother, two brothers, two sisters and a niece and two nephews. In his homily, Archbishop Wuerl noted that the crosier "is a sign of your responsibility to keep watch over the whole flock so that some day when our waiting in joyful hope is complete you may be able to present to Christ those with whom you have journeyed as shepherd and teacher." Archbishop Wuerl noted the example of St. Thomas Becket, the martyred archbishop of Canterbury. "To serve the Church is to serve Christ -- proclaim the Gospel and guide God's holy people, because to give yourself to the Church is to give yourself to Christ," he said. Noting the bishop's role "to teach, to lead and to sanctify," the archbishop said, "As you face the challenges of episcopal service, we pray that you will always be sustained by God's grace." The first of Uncle Ted's "alums" elevated to the episcopacy, Knestout is but the third son of the capital to serve as a bishop in its local church. The first was the "Lion of New Orleans" Philip Hannan -- the eulogist at JFK's funeral in the very same DC cathedral, who remains well and kickin' at 95, in his 53rd year as a successor of the Apostles. A decade following his 1965 promotion to the Crescent City, the TV-producing prelate and World War II chaplain was followed by the well-loved Bishop Thomas Lyons -- a Northwest native who died in 1988 aged 64. In other District news, Wuerl spent part of his Christmas visiting a parishioner shockingly beaten with a baseball bat in his church's parking lot before Midnight Mass. Minnesota always tends to be cold at Christmas... but two recent losses in the ranks there have made this season even more stinging than usual. Enrollment rose 9 percent under his leadership. The endowment grew to more than $145 million. A capital campaign exceeded its $150 million goal. But when people talk about Brother Dietrich Reinhart, longtime president of St. John's University, they mention few numbers. Instead, they describe his incredible vision for the Catholic school in Collegeville, Minn. -- one that will last long after his death. Reinhart, 59, became St. John's 11th president in 1991 and retired in October after announcing that cancer had spread to his lungs and brain. In a letter to the school's board of regents, he described the situation as "impossible, but not hopeless." He died Monday morning in the retirement center at St. John's Abbey. For his inaugural speech in September 1991, he chose a topic "that, surprisingly, is not easy to talk about" -- the identity of a Catholic college. It's a theme he'd delve into, in conversations and speeches, throughout his presidency. "The task before us is to make explicit the values at the heart of our schools," he said in May. "Powerful values that were pervasive when monks and sisters predominated on our faculties, and have lived on as sources of inspiration as monastic colleagues have become fewer and fewer in number." Scholars note that some Catholic colleges define themselves by what they're not, rather than by what they are, said Bill Cahoy, dean of St. John's school of theology. They are not Protestant, for example, not secular. Others are intent on being "wide-open" and in the process lose their identity, he said. Under Reinhart's leadership, St. John's strove to be certain of its Catholic identity, but hospitable to people of other faiths. In an interview taped this month, Reinhart expressed gratitude for being part of an institution with service at its core and excitement about the "great place" that St. John's would be in 2025. The completed video, including that interview, had been planned for a tribute in January commemorating his retirement, spokesman Michael Hemmesch said. During that interview, Reinhart, with a soft voice and a smile, said that the school's "best days are yet to come." "That's my mantra for St. John's," he said. "Our best days are yet to come." A major project of Reinhart's tenure has been the decade-long making of the St John's Bible -- the first full-size, illuminated edition of the Scriptures in modern days. The Benedictine was on hand in Rome last April as a copy was presented to Pope Benedict, who called it a "great work of art." "Thank you for sharing your words of insight," a reader of her last column wrote on the Web site of The Catholic Spirit, newspaper of the Archdiocese of St. Paul and Minneapolis, Dec. 27, three days after Lemmons died. "So, here, even after you are gone, you will continue to touch new lives." Lemmons wrote in her monthly column for The Catholic Spirit and in her blog -- Lemmondrops -- about her struggles with terminal cancer, the guilt she felt about leaving her two young sons motherless, the resentment she felt about the prospect of dying at such a young age, and how she had endeavored to place the outcome of her life in the hands of God, so that she could live in the present and enjoy the time she had left with the people she loved. "Emilie would tell you she was not courageous, but everyone who saw her go through this, or read her words, would definitely call her courageous," Pat Norby, Catholic Spirit news editor, told Catholic News Service Dec. 29, just hours before Lemmons' funeral Mass at the Basilica of St. Mary in Minneapolis. "When you read her column or blog, you can see what a spiritual person she was and how she continued to struggle and know who God was in her life. I trust that is who she is with today." Born in Portland, Ore., to Vincent and Nancy Ast, she earned a degree in English literature from Columbia University in New York, taught English for the Mississippi Teacher Corps and was a writer for the Delta Democrat Times in Greenville, Miss., before joining the staff of The Catholic Spirit Feb. 16, 1998, Norby said. "She was a great reporter, who won wonderful awards from the Catholic Press Association," Norby said. "She was a wonderful professional writer, reporter, a wonderful mother and spouse. She was a great friend to so many people." 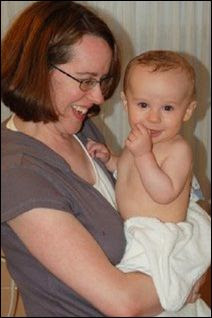 Shortly after Lemmons' son Daniel was born in August 2006, she decided to leave her full-time position at The Catholic Spirit, but continued to freelance for the newspaper and eventually began writing her monthly column, "Notes From a New Mom," and her blog, said Joe Towalski, editor of The Catholic Spirit. "In many ways, her columns resembled her blog posts," Towalski wrote in an upcoming column in honor of Lemmons. "The writing was personal. Over time, it was apparent that parenthood and then her devastating illness were changing the way she viewed life and faith. It was a journey she was willing, thankfully, to share with Catholic Spirit readers." Past blog posts and columns reveal that Lemmons was diagnosed with sarcoma -- an aggressive form of cancer of the connective tissues -- during her 2007 pregnancy with her second son, Benjamin. After his birth in March 2008 she learned from her doctors that, in her case, the illness was not curable through medication or surgery. "More recently, Emilie wrote about her up-and-down struggles with cancer," Towalski said in his tribute column. "She submitted her last column to The Catholic Spirit just a few weeks before she died -- a reflection on searching for Advent joy from a 40-year-old woman facing stage 4 cancer that was getting worse." Lemmons' final column talks about how releasing her fate to God allowed her to live in peace. "What if I trust that even if I die tomorrow or next month or next year things will somehow work out?" she pondered in her column. "What if I allow myself to put the outcome in God's hands and just live intensely in the present, absorbing and embracing life as it happens? It's not indifference or admitting defeat; it's seeing the bigger picture." Hours after Lemmons' death, her husband Stephen posted the news on the Lemmondrops blog. A short time later readers began posting messages of sympathy. Most of the messages stated that her writing inspired them to embrace the joys of everyday life. Later today, the high-hat circuit's final event of the year'll take place in Washington's St Matthew's Cathedral as 46 year-old Barry Knestout is ordained an auxiliary bishop of the 580,000-member Capital See. Sometimes as a teen, new Washington Auxiliary Bishop Barry Knestout missed the Washington Redskins' games on Sundays, because his dad, Deacon Thomas Knestout, would "drag us along," bringing Barry and another brother with him as the deacon ministered at a state hospital serving people with mental and physical disabilities. "As a teen and a kid, I didn't always appreciate the importance of that witness," said Bishop Knestout, who added that he does now. "As I look back on that, I realize the tremendous gift that was shared in that work," said the new bishop, reflecting on the example of his father, who died in 1997. Deacon Thomas Knestout worked as a cryptologist for the National Security Agency and served for many years as the director of the Office of the Permanent Diaconate for the Archdiocese of Washington. Known for his resonant voice and happy demeanor, he was active in the Charismatic Renewal prayer movement for many years. A New Jersey native, he met his future wife Caroline on a blind date, on a crabbing trip on the Delaware Bay. She later joked that the biggest crab she caught that day was her future husband. They were married for 43 years and had nine children. In addition to raising her family, Caroline Knestout also worked over the years as a nurse and in prenatal care at Prince George's Hospital in Cheverly, and as a school nurse at Fox Hill Elementary School in Bowie. Bishop Knestout described his mom as "the heart of our family," who emphasized the importance of attending Mass, praying together and sharing family meals. She also played a key role in family celebrations over the years as her children received the sacraments and reached milestones in their lives. "My mom has always been a very steady, pragmatic person," he said, noting she offered an example of "steady fidelity to family and friends." Her "care and love for us" was always present, the bishop said. In an interview just before his son Barry was ordained to the priesthood in 1989, Deacon Knestout said that he and his wife were proud of all nine of their children. "They practice their faith - all of them. That gives us a great sense of accomplishment," he said. "We haven't given them wealth. We haven't built up a family empire. What we have given them is their faith... There's nothing of greater value we could have given them." The words and example of Bishop Knestout's parents still resonate, such as when his father once told him, "The mark of a man is not how well he does things he enjoys, but how well he does the things that are difficult, the challenges of life." He remembers how his dad was a man devoted to his family and to his faith, and demonstrated "the willingness to sacrifice for a greater good, for the good of others." 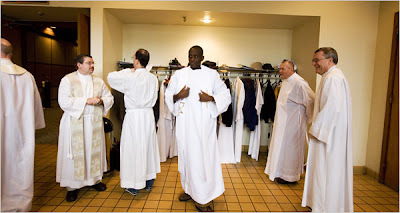 Ergo, as the bishop dons the pontifical dalmatic before his chasuble, that behind-the-scenes moment in the run-up to today's liturgy will understandably have more resonance than usual. On another historic note, at the close of its bicentennial year, today's ordination will give Mount St Mary's in Emmitsburg its 50th bishop-alum. Go Mounties. On another note, this year's changes to the liturgy saw it moved outside the Main Event, but a longtime favorite 'round these parts is the chanting of the Kalenda -- the formal, oft-neglected "Christmas Proclamation" whose magic tends to get lost in translation (at least, in the settings out there for its rendering in English). 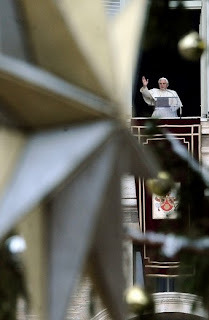 Year after year, out comes the papal chapel's workhorse cantor -- an amice-clad layman... the only guy in creation who could pull off the epic chronicle of Salvation's arrival so masterfully... and, year after year, without fail, hits nothin' but pure bullseye. For the unfamiliar who'd like to catch it, footage of the moment from last year's Mass is available... just in two parts: click this one and fast-forward it to the 9:00 mark, then hit this one for the second half. The triple-wide top feature in this Sunday's New York Times was a notable one for the beat as the Grey Lady related that one in six priests in ministry on these shores hails from abroad. In the long frame of history, it's worth recalling that only in 1913 did Rome see fit to remove the US' status as a mission church under the jurisdiction of the Propaganda Fide... and not even a century later, here we are again. While the Times' Laurie Goodstein did her on-ground reporting in western Kentucky's diocese of Owensboro -- home to some of the nation's highest Sunday Mass attendance, yet no ordinations in the last five years -- it's a good moment to shine a light on the mother and head of the "import churches": East Texas' diocese of Tyler, where half the clergy are foreign-born... including the vicar-general, Msgr Xavier Pappu, a son of India's Tamil Nadu state named top aide to Bishop Alvaro Corrada del Rio SJ a year after his 1999 arrival in America. Home to 55,000 Catholics spread across 42 parishes in 33 counties, Tyler's overseas recruitment has borne considerable fruit. While its contingent of foreign clergy hovered at 60% a decade ago, the growing diocese now boasts its own complement of 24 seminarians -- a figure rivaling, or even exceeding, the old bastions of the Northeast. The overseas wave changing the Stateside church's consecrated ranks doesn't end with its priests, and one need look no further than the weekend papers to reinforce the point. For now, just three Stateside locales feature the presence of the growing, Rome-based Apostles of the Interior Life. Founded in 1990 by Susan Pieper, an American expat, and formally recognized by the Urb's diocese six years later, the core of the Apostles' charism is spiritual direction; its sisters, who spend four hours a day at prayer, take five years of formation at the city's pontifical faculties of philosophy and theology. 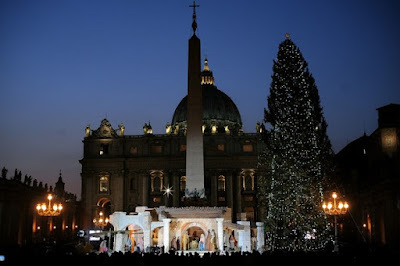 Given the controversy born from yesterday's remarks on gender by the Pope in the context of his Christmas "greeting" to the Roman Curia, a fulltext of said message would, of course, be useful. The way the Vatican's translators tend to work, however, an official English rendering of the 11-page talk mightn't show up 'til midway through the next pontificate. That said, we're in luck: a guerrilla translation of the entire address has surfaced from across the Pond, prepared by the coadjutor of Lancaster, Bishop Michael Campbell. 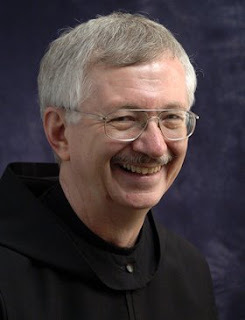 The first Augustinian friar named to the English episcopate since the Reformation, B16 tapped Campbell, 67 -- a missionary, teacher and parish priest prior to his appointment -- as successor-in-waiting to Bishop Patrick O'Donoghue earlier this year. A specialist in the Scriptures and the Semitic languages, the bishop is expected to take the reins of the 110,000-member see in the west of England next summer. The birthday of the Lord is at hand. Every family feels the desire to be reunited, to savour the unique and unrepeatable atmosphere which this feast is capable of creating. Even the family of the Roman Curia also finds itself here, this morning, in accordance with an appealing custom, thanks to which we have the joy of meeting and exchanging greetings in this particular spiritual season. I offer my sincere greetings to each one of you, full of recognition for the valuable collaboration offered to the ministry of the Successor of Peter. I thank most sincerely the Cardinal Dean, Angelo Sodano, who offered the good wishes of everyone present, and also of all who work in the different offices, including the Papal Representations. Earlier I referred to the special atmosphere of Christmas. 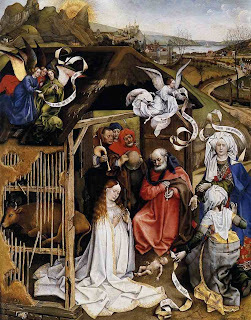 I like to think that this is, as it were, an extension of that mysterious joy, of that intimate elation, which surround the Holy Family, the Angels and the shepherds of Bethlehem on the night Jesus was born. I would describe that as “the atmosphere of grace”, having in mind the words of St. Paul in the letter to Titus: “The grace of God our Saviour has appeared to all mankind.” (Ti 2:11). The Apostle declares that the grace of God has appeared to the “whole of humanity”: I would add that in these words the mission of the Church is disclosed, and in particular that of the Successor of Peter and his collaborators, to make their contribution so that the grace of God, of the Redeemer, might become ever more visible to all, and that everyone might attain salvation. The year just concluding has been rich by way of retrospective glances on important moments in the recent history of the Church, but also rich in events which carry within them pointers to direct our journey towards the future. Fifty years ago Pope Pius XII died, fifty years ago John XXIII was elected Pope, Forty years have passed since the publication of the Encyclical Humanae Vitae, and thirty years since the death of its author, Pope Paul VI. The message from such events has been recorded and reflected upon in many ways in the course of the year, and I do not intend to delay again at this time. This backward glance through memory, however, takes us even further back, beyond the events of the last century, and precisely in this way has pointed us towards the future: on the evening of the 28th June, in the presence of the ecumenical Patriarch, Bartholomew I of Constantinople, and of the representatives of many other Churches and ecclesial Communities, we were able to inaugurate in the Basilica of St. Paul’s outside the Walls the Year of St. Paul, recalling the birth of the Apostle of the gentiles two thousand years ago. For us, Paul is not a figure of the past. By means of his letters he continues to speak to us until the present day. And whoever enters into dialogue with him, find himself impelled towards Christ crucified and risen. The Pauline Year is a year of pilgrimage, not only in the sense of an external journey towards places associated with St. Paul, but also, and above all, in the sense of a pilgrimage of the heart, together with Paul towards Jesus Christ. In a word, Paul teaches us that the Church is the Body of Christ, that the Head and the Body are inseparable and that there can be no love for Christ without love for his Church and her living community. Three specific events, during this year now coming to a close, come particularly to mind. First, there was the World Youth Day in Australia, a great celebration of faith, which united more than 200,000 young people from every part of the world, and brought them close not only exteriorly – in the geographical sense – but, thanks to the shared joy of being Christians, it also brought them closer in an interior fashion. 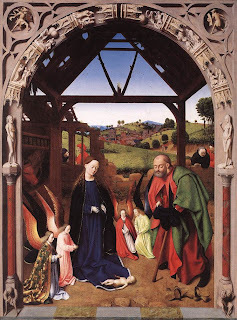 Apart from this, there were journeys, one to the United States, the other to France, in which the Church made herself visible before the world and for the world as a spiritual force which points the pathways to life and, by the witness of faith, brings light to the world. Those indeed were days which radiated brightness; they radiated confidence in the value of life and in the commitment to good. Lastly, there is the memory of the Synod of Bishops: Pastors from all over the world were gathered around the Word of God, which was raised up in their midst; around the Word of God, whose supreme manifestation is found in Sacred Scripture. That which in our daily living we have paid attention to, we have cultivated anew in all its sublimity: the fact that God speaks and answers our questions. The fact that he, albeit in human language, speaks in person and we are able to hear him, and through hearing, come to know and understand him. The fact that he enters into our lives and we can go out of our lives and enter into the vastness of his mercy. So we have been newly made aware that God in his Word addresses himself to each one of us, speaks to the heart of each one of us: if our heart is disposed and our interior hearing open, then each individual can discover the word addressed appropriately to him. But precisely if we hear God speaking in such a personal manner to each one of us, we understand also that his Word is present so that we can draw closer to each other; so that we can discover the path out of what is solely personal. This Word has constructed a common history and wishes continually to do so. Thus we are freshly made aware that – precisely because the Word is so personal – we can understand it in correct and total fashion only in the “we” of the community established by God: always full conscious that we can never completely exhaust it, that it has something new to say to every generation. We understood for sure that the biblical writings were composed at determined periods and therefore constitute in this sense something of a book from a past age. But we have seen that their message does not stay in the past nor can it be confined in it: God, in truth, always speaks to the present, and we have heard the Bible in a manner that is full only when we have discovered this “present” of God, which we call now. 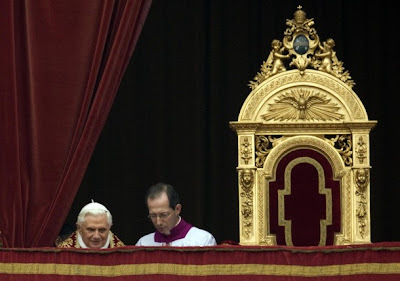 Finally, it was important to experience that there is a Pentecost in the Church today, i.e. that it speaks in many tongues and this not only in an exterior fashion in the sense of there being represented in it all the major languages of the world, but it a still much more profound sense: in the Church are found all the different experiences of God and of the world, the richness of cultures, and only thus there appears the vastness of human existence and, departing from it, the vastness of the Word of God. Yet we have also learned that Pentecost is still “in via”, on the way, and so far incomplete: still to be found are a multitude of languages which yet await the Word of God found in the Bible. Also moving were the numerous witnesses of faithful lay people from every part of the world, who not only live the Word of God, but also suffer because of it. One precious contribution was the address of the Rabbi on the Sacred Scriptures of Israel, which in fact are our Scriptures as well. A significant moment for the Synod, rather for the journey of the Church as a whole, took place with when the Patriarch Bartholomew, in the light of the orthodox tradition, opened up for us a way to the Word of God with a penetrating analysis. Let us now hope that the experiences and attainments of the Synod will have an effective influence on the life of the Church, on a personal relationship with the Sacred Scriptures, on their interpretation in the Liturgy and catechesis, as also in scientific research, lest the Bible remain a Word of the past, but that its vitality and actuality may be read and revealed in all its vast and significant dimensions. The themes of the actuality of the Word of God, of God himself in this very hour of history, also figured in the pastoral journeys this year: their true meaning can only be to serve this actuality. On such occasions when the Church is perceived publicly, alongside the faith arises at least the question about God. This public manifestation of the faith brings along all those who seek to understand the present time and the forces operative in it. In particular, the phenomenon of the World Youth Days is always the subject of analysis, in which there the attempt is made to understand this kind of event, so to speak, of youth culture. Australia had never seen before so many people from every continent as during the World Youth Day, not even at the time of the Olympics. And if beforehand the fear existed that the presence of such a mass of young people could bring with it some risk to public order, paralysis of traffic, upset to daily routine, provocation to violence and the occasion for drugs, all of this was shown to be without foundation. It was a feast of joy – a joy which finally embraced the reluctant: in the final analysis, no one felt threatened. The days became a celebration for everyone, rather only then did we take full account of what a feast was – an occasion in which everyone is, as it were, outside of themselves, beyond their very selves, and in truth with themselves and with the others. What and wherefore was the nature of this success of the World Youth Day? What were the forces which drove it? Popular analyses tend to look on these days as a variant of modern youth culture, like a kind of rock festival, modified in church wise, with the Pope like a star. With or without faith, this festival is at root always the same thing, and so the question of God can be sidelined. There are also Catholic voices which move in this direction, seeing it all as a great spectacle, even beautiful, with having little significance for the question of faith and the presence of the gospel in our time. They could be moments of festive ecstasy, which however when all is said and done leave things as they were, having no bearing in any depth on life itself. With this, however, the peculiar nature of such days and the particular character of their joy, their creative force for communion, find no explanation. Above all, it is important to take account of the fact that the World Youth Days do not consist of one single week in which they become public and visible to the world. There is both a long external and internal journey leading to them. The Cross, accompanied by the image of the Mother of the Lord, goes on pilgrimage in different lands. Faith, in its own way, feels the need to see and to touch. The encounter with the cross, which is touched and carried, becomes an interior encounter with Him who died on the cross for us. The encounter with the Cross arouses in the depths of youth the memory of that God who willed to become man and suffer with us. And we see the woman whom He has given us as Mother. The solemn Youth Days are only the culmination of a long journey, along which they meet one another and together they go to Christ. In Australia, not fortuitously, the long Way of the Cross through the city became the culminating event of those days. It recapitulated once more all that had taken place in the preceding years and pointed to the One who unites us all together: the God who loves us to the extent of the Cross. And so even the Pope is not the star around which everything happens. He is simply and solely Vicar. He defers to Another who stands in our midst. Finally, the solemn liturgy is the centre of everything, because there takes place in it what we are unable to accomplish and of which, however, we are always in expectation. He is present. He enters into our midst. Heaven is rent, and this makes the earth glow. It is this which makes life joyful and open and unites one to another in a joy which cannot be compared to the joy of a rock festival. Friedrich Nietzsche said on one occasion: “The ability is not to be found in organising a festival, but in finding people who can enjoy it.” According to Scripture, joy is the fruit of the Holy Spirit (Gal 5:22): this fruit was abundantly visible during those days in Sydney. Just as a long journey preceded the World Day of Youth, so successive journeys flowed from it. Friendships were forged which encouraged a single, diverse style of life and supported it from within. The great Days have, not as their ultimate reason, the intention to create such friendships and in this way they bring about areas of life in faith, which are simultaneously arenas of hope and of a charity experienced. Joy as the fruit of the Holy Spirit – with this we come to the central theme of Sydney which, precisely, was the Holy Spirit. In this retrospective glance I would like to refer, by way of synthesis, to the orientation implicit in such a theme. Keeping before our eyes the witness of Scripture and of Tradition, four dimensions of the theme “Holy Spirit” are easily recognised. 1. The first is the affirmation which we find at the beginning of the account of creation: there we hear of the Creator Spirit which hovers over the waters, creates the world and constantly renews it. Faith in the Creator Spirit is an essential part of the Christian Credo. The fact that matter carries within itself a mathematical structure, is full of spirit, and forms the foundation on which the modern natural sciences rest. Only because is structured in an intelligent fashion is our spirit competent to interpret it and to actively refashion it. Because this intelligent structure proceeds from the same Spirit Creator which has given us the spirit to us, it brings with a task and a responsibility. The ultimate foundation for our responsibility towards the earth rests on our beliefs about creation. The earth is not simply our possession which we can plunder according to our interests and desires. It is rather a gift of the Creator who has designed its intrinsic laws and with this has given us the basic directions for us to adhere as stewards of his creation. The fact that the earth, the cosmos, mirror the Creator Spirit, clearly means that their rational structures which, transcending the mathematical order, become almost palpable in our experience, bear within themselves an ethical orientation. The Spirit which has formed them, is more than mathematics, he is the Good in person, using the language of creation, and points us to the way of right living. Since faith in the Creator is an essential part of the Christian Credo, the Church cannot and should not confine itself to passing on the message of salvation alone. It has a responsibility for the created order and ought to make this responsibility prevail, even in public. And in so doing, it ought to safeguard not only the earth, water, and air as gifts of creation, belonging to everyone. It ought also to protect man against the destruction of himself. What is necessary is a kind of ecology of man, understood in the correct sense. When the Church speaks of the nature of the human being as man and woman and asks that this order of creation be respected, it is not the result of an outdated metaphysic. It is a question here of faith in the Creator and of listening to the language of creation, the devaluation of which leads to the self-destruction of man and therefore to the destruction of the same work of God. That which is often expressed and understood by the term “gender”, results finally in the self-emancipation of man from creation and from the Creator. Man wishes to act alone and to dispose ever and exclusively of that alone which concerns him. But in this way he is living contrary to the truth, he is living contrary to the Spirit Creator. The tropical forests are deserving, yes, of our protection, but man merits no less than the creature, in which there is written a message which does not mean a contradiction of our liberty, but its condition. The great Scholastic theologians have characterised matrimony, the life-long bond between man and woman, as a sacrament of creation, instituted by the Creator himself and which Christ – without modifying the message of creation – has incorporated into the history of his covenant with mankind. This forms part of the message that the Church must recover the witness in favour of the Spirit Creator present in nature in its entirety and in a particular way in the nature of man, created in the image of God. Beginning from this perspective, it would be beneficial to read again the Encyclical Humanae Vitae: the intention of Pope Paul VI was to defend love against sexuality as a consumer entity, the future as opposed to the exclusive pretext of the present, and the nature of man against its manipulation. 2. Finally, I add a few more remarks on other aspects of pneumatology. If the creator Spirit is manifest above all in the silent grandeur of the universe, in its intelligent structure, faith, beyond this, tells us something unexpected, that this Spirit speaks, as it were, also in human language, has entered into history and, as a force which shapes history, is also a Spirit who speaks, rather he is the Word which comes to meet us in the writings of the Old and New Testament. What this might mean for us, Saint Ambrose has marvellously expressed in one of his letters: “Even now, when I read the divine Scriptures, God walks in paradise” (Ep.49:3). By reading the Scriptures we also today can, so to speak, wander in the garden of Paradise and meet the God who walks there: between the theme of the World Youth Day in Australia and the theme for the Synod of Bishops exists a deep interior bond. The two themes “Holy Spirit” and “Word of God” go together. Reading Scripture we learn moreover that Christ and the Holy Spirit are inseparable from one another. If Paul, in an arresting synthesis, states: “The Lord is the Spirit” (2 Cor3:17), not only does there appear in essence, the Trinitarian unity between the Son and the Holy Spirit, but also their unity where the story of salvation is concerned: in the passion and resurrection of Christ the veils of the merely literal sense are torn and the presence of God who is speaking becomes visible. By reading the Scripture together with Christ, we come to sense in human words the voice of the Holy Spirit and we discover the unity of the Bible. 3. With this we have arrived at the third dimension of pneumatology which consists, precisely, in the inseparability of Christ and the Holy Spirit. In rather beautiful fashion this is shown in Saint John’s account of the first appearance of the risen Lord to his disciples: the Lord breathes on his disciples and in this way gives them the Holy Spirit. The Holy Spirit is the breath of Christ. And just as the breath of God in the morning of creation transformed the dust of the earth into a living being, likewise the breath of Christ gathers us into ontological communion with the Son, makes us a new creation. For this reason it is the Holy Spirit who makes us say with the Son: “Abba, Father” (Jn20:22; Rom8:15). And so with the theme “Holy Spirit” which guided the days in Australia and, in a more hidden fashion, also the week of the Synod, the whole extent of the Christian faith becomes clear, a breadth which from the responsibility for the created order and for the existence of man in harmony with creation leads, through the themes of Scripture and the history of salvation, to Christ and beyond to the living community of the Church, in its ordinances and responsibilities and also in its vastness and freedom, which finds expression both in the multiplicity of charisms and in the Pentecostal image of the multitude of languages and cultures. Joy is an integral part of the feast. A feast can be organised, joy no. It can only be offered as a gift; and, in fact, has been given to us in abundance: it is by this that we are known. Just as Paul described joy as the fruit of the Holy Spirit, so likewise has John in his gospel connected closely the Spirit and joy. The Holy Spirit gives us joy. And he is joy. Joy is the gift in which all the other gifts are included. It is the expression of happiness, of being in harmony with ourselves, that which can only come from being in harmony with God and with his creation. It belongs to the nature of joy to be radiant, it must communicate itself. The missionary spirit of the Church is none other than the impulse to communicate the joy which has been given. May it always be alive in us and so be radiated on the world in the midst of its tribulations: such is my wish at the close of this year. Along with a lively thanks for all your labours and endeavours, I wish you all this joy which comes from God and may it also be given to us abundantly in the New Year. I commend these wishes to the intercession of the Virgin Mary, Mother of Divine Grace, requesting that we can live the Christmas festival in joy and in the peace of the Lord. 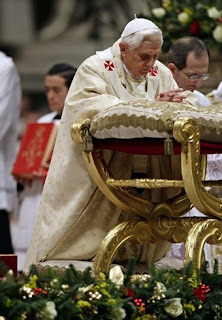 With these sentiments I sincerely impart to you and the great family of the Roman Curia the Apostolic Blessing. Again, all thanks to the bishop-translator for his yeoman's labours.